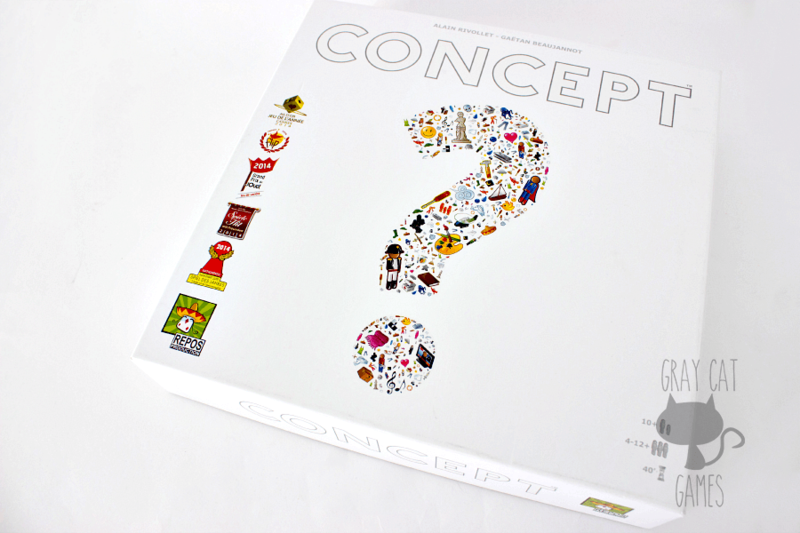 Concept is a very interesting game with a premise similar to Charades, but without flailing your arms in the air. It is commonly referred to as, “Charades for writers.” It relies on your ability to convey ideas visually in a format that also doesn’t require you to draw. When we saw Concept on Tabletop, Chelsey and I were intrigued by the idea. 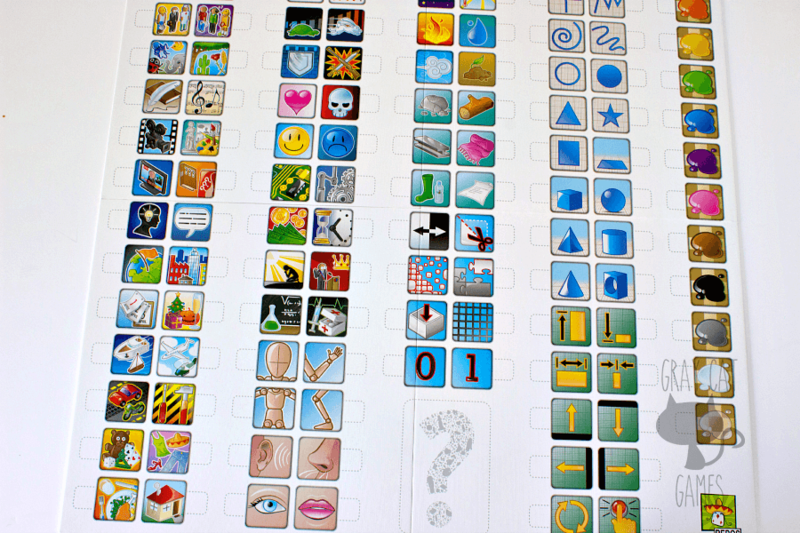 You take plastic bits and place them on a board filled with different pictures to convey an idea. The other players desperately guess what you’re trying to get at, and then someone else takes a turn. It was simple, interesting, and something I wanted to get. So we picked up Concept pretty soon after watching that episode, and we got into it right away. Personally, I love Charades. There’s something really fun about trying to find an unconventional way of conveying difficult ideas (ever try to get players to say “Mike Tyson?”). So I was really drawn into those first few games. This post contains affiliate links. To learn more about our affiliations, you can read our Policies page. How much space does Concept take up on the shelf? Concept takes up the standard space you’d expect to take up on the shelf. Not too big, not too small. For such a simple, party-style game, there are quite a few bits. Most of these are small cubes, so you’ll want to play this game on an appropriate surface where they wouldn’t be very easy to lose. I could also see where little kids might want to eat the pieces since they’re so pretty. Even adults have made comments about how the cubes look like candy. So if you’re playing with children, remember to supervise them closely. Concept comes with a fairly large board with boxes that contain drawings of different basic things. For example, you might see two pictures next to each other, one of a “thing” and one of a “person.” This can help to quickly identify the idea being portrayed. If you’re not sure what the boxes mean, though, it also comes with some card stock that has some sample labels. Though, in reality, you can use the boxes to mean pretty much anything. The game also comes with a bunch of cubes in 5 different colors (black, red, yellow, blue, and green). 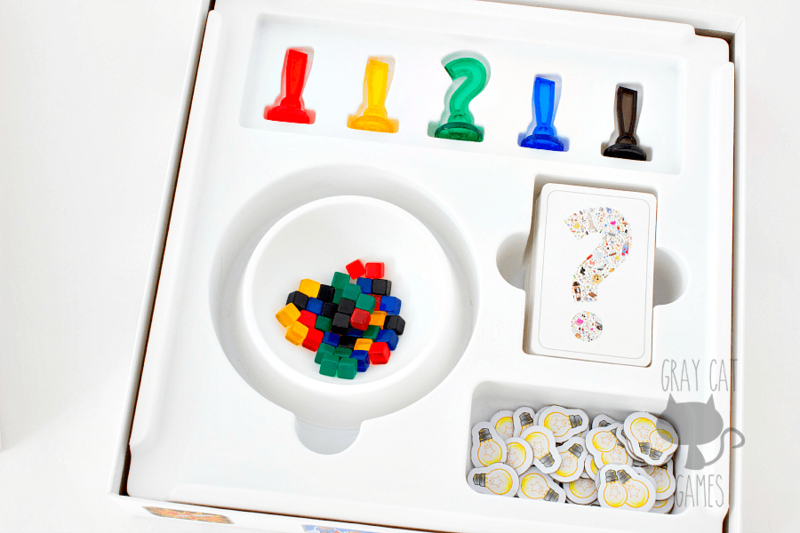 The cubes correspond with the plastic markers, 4 shaped like exclamation points and one shaped like a question mark. I find these pieces delightful, since they’re so colorful and easy to see. They contrast very well with the white of the board, and I like how clean everything can look. The game also comes with a deck of cards that are roughly standard size and of decent card stock. You won’t write home about the quality of the cards, but they do the trick. Concept comes with an excellent insert that holds all those tiny cubes in an ingenious way. Inside the insert is a detachable bowl that you store the cubes in. But the bowl is just tall enough that the board sits on top and covers the brim. Once the board is in place in the box, all the components fit snugly and are difficult to jostle. You can shake the box, open it up, and you’ll find that the cubes stayed in the bowl. Open the board, take out the bowl, pull out the deck of cards, and you’re completely set up! How much space does the game take up? 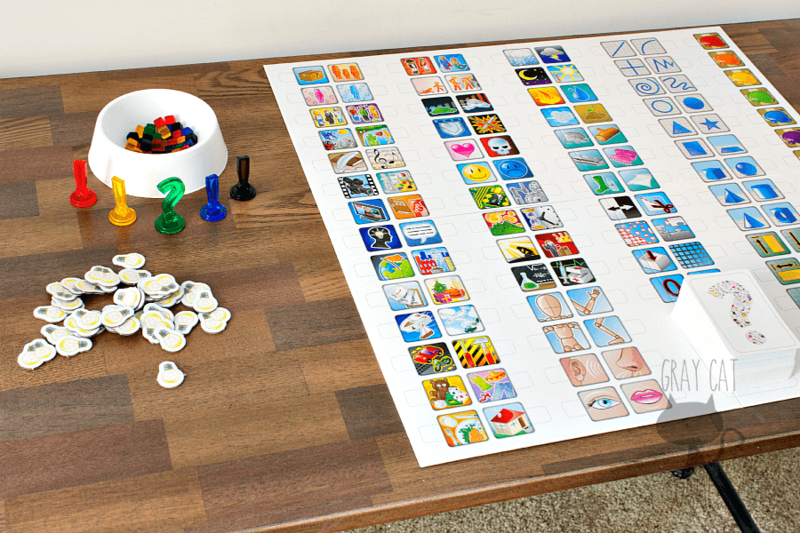 In Concept, you use the colored plastic pieces to try and convey a specific person, thing, or idea. These can range from the easy (bee, unicorn) to the very difficult (“suffer the slings and arrows of outrageous fortune.” That is a real example from the game). You first place the green question mark piece to describe the overall concept. Then you can use the 4 exclamation marks to get players to associated with a separate concept. The colored cubes help to further describe things. For example, you might get “Eiffel Tower.” You can put the main green marker down on the picture of a building, then a green cube on the picture of a steel girder to signify it’s made of metal. Then to get creative, you can place one of the sub-concept markers on the globe picture, signifying “location.” By placing cubes on the colors red, white, and blue, you can get players guessing. America? No! Russia? No! France? Yes! So now you have a metal building associated with France. Eiffel Tower. Some of that can sound daunting, which is why it’s great that the cards give you so many options. 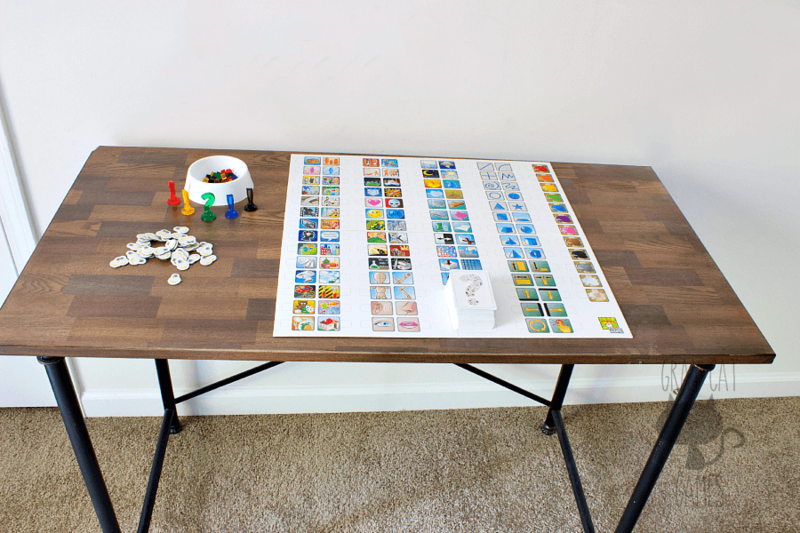 In terms of scoring and winning the game, there are cardboard light bulb tokens to keep track of the score, and you can play in teams or following the game’s suggested rules. In our group, we just like to take turns without keeping score. Is the game fiddly (is there a lot of manipulating pieces/math that slows the game down)? No, this is definitely not a fiddly game. Everyone gets to be engaged pretty much the whole time, and there is never any very involved setup to the game. Wipe the pieces off the board, draw a new card, and you’re ready to go. I think the core mechanic of Concept is awesome. Trying to draw a picture to make players say different words really stokes the creative fires, and it makes for some interesting stories. I can talk about the time I got “Aladdin,” and I used the pictures of “0” and “1” (binary for “no” and “yes”) to write out “1001,” as in “1001 Arabian Nights.” Interesting situations like that come up all the time. And I’ve found that the little discussions after a clue is guessed can be really fun, too. Like, “Oh, you could have put this one here.” It adds an extra little dimension to the game. Concept moves very quickly, and it accommodates all levels of comfort with the idea. Novices and experienced people can try their hand and make a fun go of playing, which can be pretty rare in a lot of games! 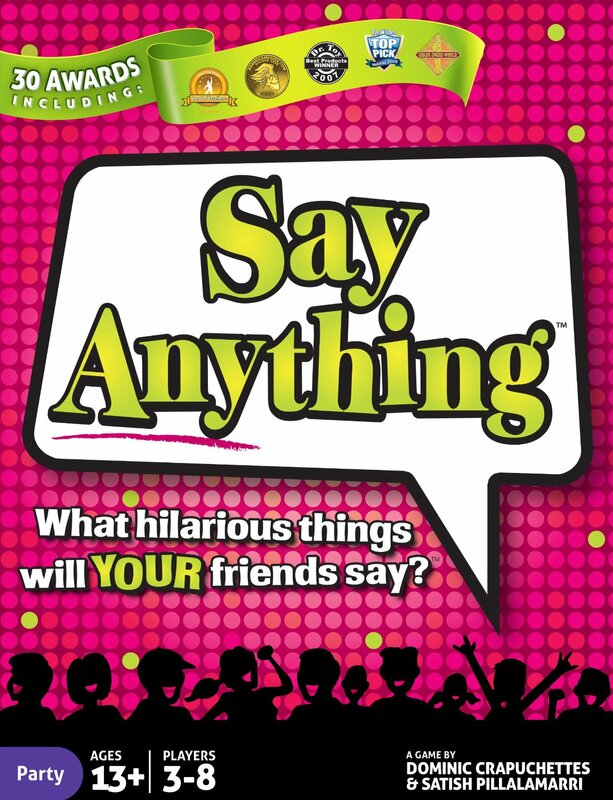 What if you hate charades? How many players does Concept support? You’ll need at least 2, but I’ve seen groups get as big as 7 or 8. The thing about Concept is it is usually a game that you start playing when not many people have shown up yet. Then people arrive, and they get added to the mix and have the opportunity to try. So it makes a great “filler” type game. On the other hand, I’ve also played 2 teams of 3 or 4 people, and it can turn into an intense and competitive experience. In this case, teams are put under the gun with a time limit, and they need to get through as many questions as possible. 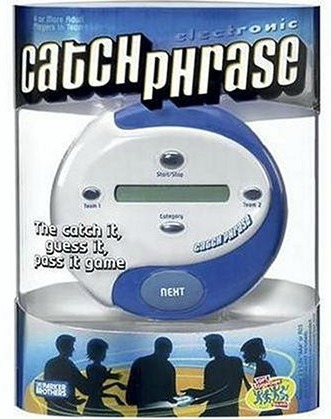 Furthermore, Chelsey and I have played this game a ton with just the two of us. This can lead to some frustration, since the pressure to guess correctly is left up to only one person, but overall it’s been an enjoyable experience! So Concept is very flexible in the number of players it can support. It’s been a lot of fun so far to play in different contexts, trying out different rules and variants. I’ve even heard that the game is reasonably compatible with the white cards from Cards Against Humanity…though I’m not sure I want to think about the horrific consequences! How many players are best for Concept? This is a tough question to answer. I really liked the 3 against 3 team play, if you’re going with a competitive style. A sweet spot would probably be about 4 players working together, though. This way, your turn comes up pretty quickly, before guessing gets a bit stale. Would you want to play Concept week after week? An unequivocal yes! Concept is a great way to start a long gaming session. It’s easy to set up and tear down, easy to integrate people who are just arriving, and a lot of fun to boot. Until I run out of fresh cards (and there are tons of possible concepts to describe), I wouldn’t mind playing this again and again. More than one round is certainly a prerequisite. It’s kind of hard to say, since we don’t really play “games” of Concept. We just play until it’s time to move on to something else. 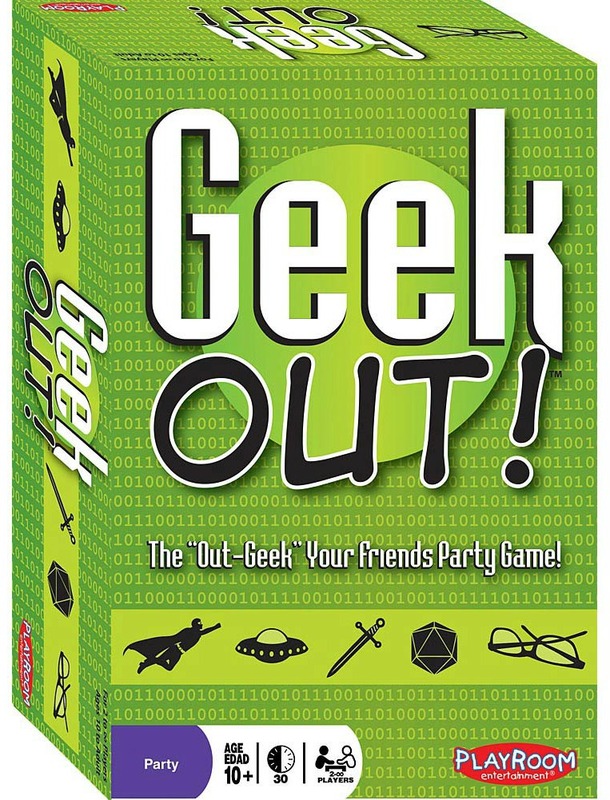 In that sense, I usually want to go 3 or 4 rounds around the table as people show up so we can have some laughs, get some fun in, and then move on to meatier games. Concept comes at MSRP of $40. You can get it on Amazon right now for around $30. I think both prices are fair, and this is definitely a game you’ll get some value from. And I think you’ll get many hours out of it if you like it. Anyone with a literary or descriptive bent would get a big kick out of this game. 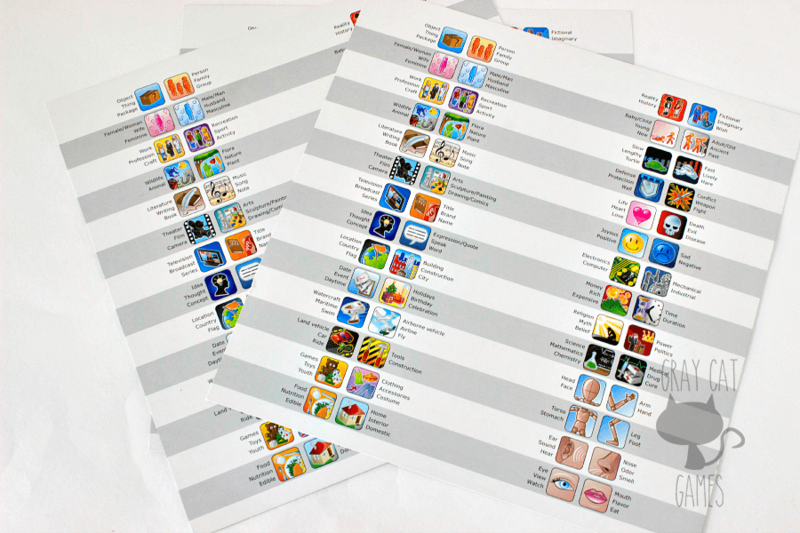 Many of the clues are geared toward the literary set (book titles, quotes from Shakespeare, etc. ), and I think this matches that very well. But don’t get me wrong, either. EVERYONE I’ve played this with has wanted to keep playing and playing. What do I want you to know about this game? 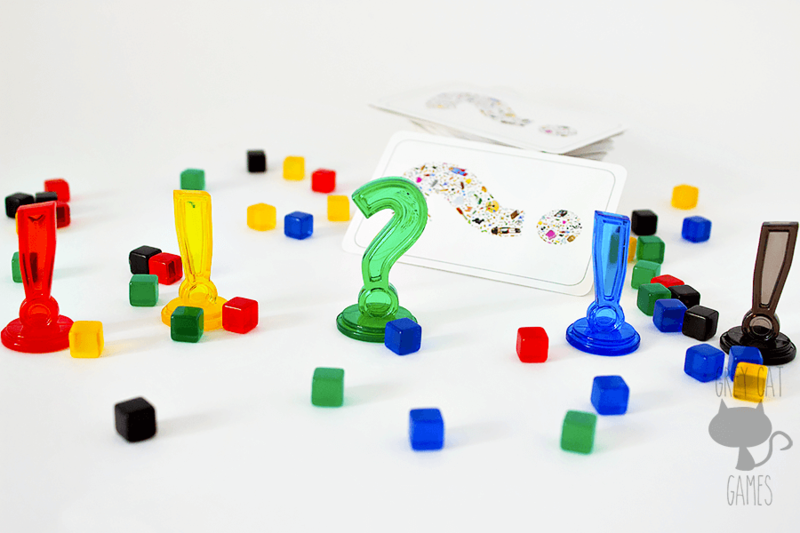 I give Concept a hearty recommendation to anyone looking for a versatile party game that encourages creativity and thinking outside the box. 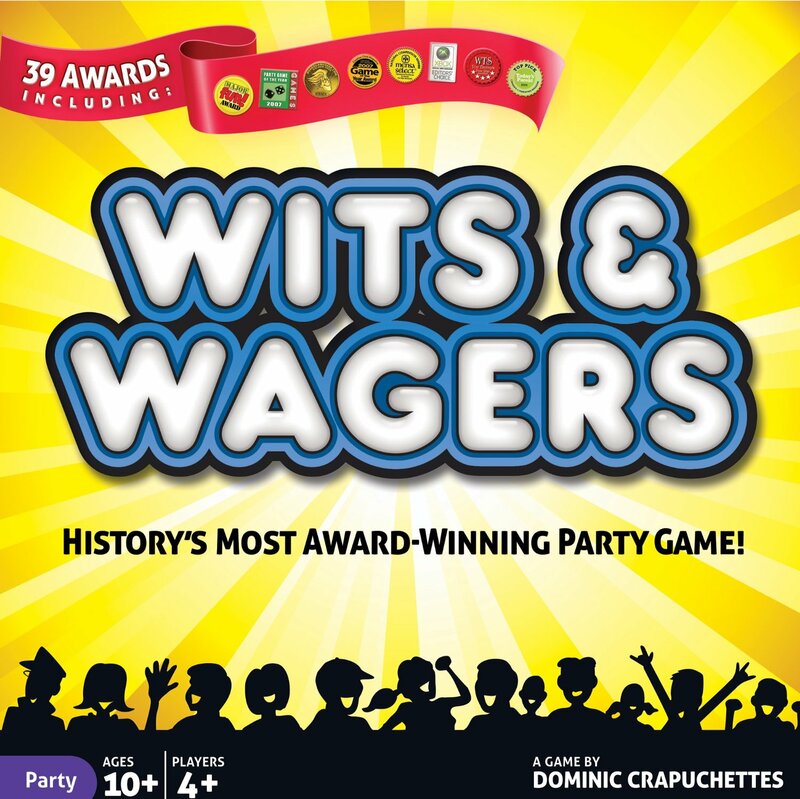 It provides excellent interaction between players, and it’s a damned fun game to play. By the way, Mike Tyson is just miming of boxing then a quick drawing on your face with your figures for that god awful tattoo he has!